The TTABlog®: TTAB Test: Is DEEP SOUTH Geographically Descriptive of Movie Studio Services? TTAB Test: Is DEEP SOUTH Geographically Descriptive of Movie Studio Services? The USPTO refused registration of the mark DEEP SOUTH STUDIOS, in standard character and design form, for "movie studio services," finding the term "DEEP SOUTH" to be primarily geographically descriptive of the services under Section 2(e)(2). Applicant, located in New Orleans, argued that "Deep South" is "amorphous" and is not the mark’s primary significance. How do you think this came out? In re Deep South Studios LLC, Serial Nos. 86896313 and 86896327 (February 9, 2017) [not precedential]. The Board found that the primary significance of "Deep South" is a place generally known to the public. Reference works discuss the Deep South as including Louisiana. The Board presumed that the public would believe that applicant's services emanate from the Deep South because applicant is based in Louisiana. Finally, there was no dispute that applicant's service emanate from the Deep South. Applicant argued that New Orleans is not part of the Deep South, but the Board found that the evidence relied upon by applicant merely differentiate New Orleans culturally and in other ways from other parts of the Deep South. It did not say that New Orleans is not part of the Deep South. "The purpose of the proscription in Section 2(e)(2) of the Act against registration of primarily geographically descriptive terms is to leave place names free for all businesses operating in particular areas to inform customers where the goods or services originate. It would be completely inconsistent with the objectives of the Trademark Act" to register DEEP SOUTH for Applicant’s movie studio services rendered in the Deep South unless applicant had claimed and proved that the term has acquired secondary meaning. In re MCO Properties, 38 USPQ2d at 1156. And so the Board affirmed the refusal of the standard character mark, and affirmed the refusal of the design mark for failure to disclaim DEEP SOUTH and STUDIOS. TTABlog comment: How about DEEP! DEEP! SOUTH ? Text Copyright John L. Welch 2017. Geographic concept - not an entity. Bureaucrats enjoying the power to say NO! The TTAB decided this appeal correctly. The Lanham Act prohibits registration of geographically descriptive marks under § 2(e)(1), unless the distinctiveness of the mark is established by the applicant under § 2(f). Procedurally, the trademark examiner had to establish a prima facie case for refusal for geographic descriptiveness: “(1) the primary significance of the mark is a generally known geographic location; (2) the goods or services originate in the place identified in the mark; and (3) purchasers would be likely to believe that the goods or services originate in the geographic place identified in the mark.” (TMEP § 1210.01(a)). 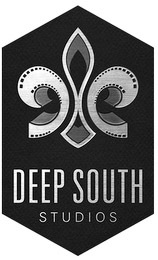 Here, the mark “Deep South Studios” for a movie studio in New Orleans, LA includes the use of a phrase whose primary significance is to describe a geographic region. Compare In re Pan-O-Gold Baking Co., 20 USPQ2d 1761 (TTAB 1991) (holding "New England" primarily describes geographic region) with Carolina Co., Inc., 153 U.S.P.Q. (BNA) ¶ 880 (T.T.A.B. July 10, 1964) (holding “Southland” not primarily geographically descriptive). Unlike the mark “Southland,” the mark “Deep South” is a commonly used phrase describing a particular arrangement of states farther south than other southern states. This is more akin to the descriptiveness of “New England,” which refers to a limited number of specific states. Additionally, the services of the studio are in Louisiana, a state that could be interpreted (with submitted evidence) to be part of the deep south. Finally, as a result of this location, purchasers are likely to believe the services originate from the deep south. Without showing distinctiveness of the mark in the eyes of consumers, “Deep South Studios” was correctly refused registration.